Jane Grey Swisshelm (1815-1884) was the first woman in America to own and operate a newspaper. Her incisive writings about important subjects often addressed social and political weaknesses that otherwise would have been neglected by the conventional press. Swisshelm was born in Pittsburgh to Scotch-Irish Covenanters. She married James Swisshelm at the age of 21, who was a Methodist, and this brought her into conflict with her husband's family, who did not approve of her own religious beliefs. Using the money gained from her mother's legacy, in 1848 she started her own publication, the Pittsburgh Saturday Visiter (the unusual spelling of "Visiter" was deliberate).She also delved into public speaking, and became increasingly radical and outspoken, something that earned her both praise and condemnation from ordinary citizens as well as civic leaders. The Civil War years not surprisingly brought major changes to Swisshelm's life. 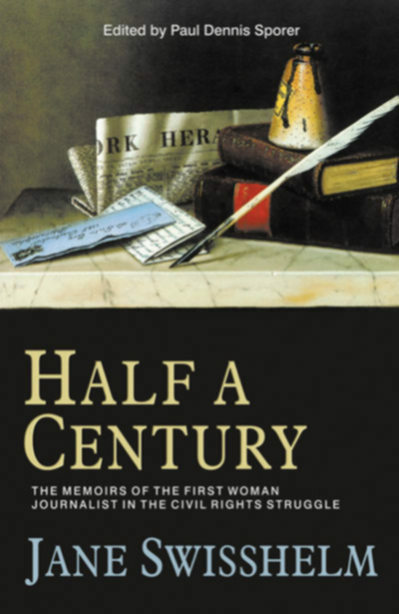 Although she originally went to Washington, DC to oppose any leniency for those responsible in the Sioux Indian uprising, through various connections she found work as a nurse in a war hospital, a phase which occupies a large portion of her intriguing memoir, Half a Century.